Jeremy Hawkins is the agency owner for Goosehead Insurance in Oviedo, Florida. Jeremy began his carrier with Florida Farm Bureau in 2014 where he gained extensive knowledge in the insurance industry. 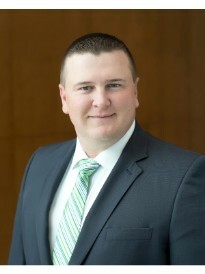 During his time with Farm Bureau, Jeremy won several awards for his excellence in sales and customer service. Jeremy brings his energy and excitement to Goosehead Insurance where he will be able to better protect his clients through the “Power of Choice”. Goosehead Insurance offers an extensive product portfolio; therefore, he can insure virtually any risk he is presented with. Give Jeremy a call today to insure you are getting the best quality insurance at the lowest possible price.